Smart, attractive, athletic and talented, Yukino Miyazawa appears to be the model student. Both her male and female peers express their admiration for her, often asking her for help and commenting about her model features and characteristics. However, her "perfect" exterior hides the fact that everything she does is done solely to receive praise from others. She has been this way since she was a little girl - a self-professed "queen of vanity", Yukino once practiced playing her recorder until she vomited blood. With all this praise, however, she never realized that she never had a real friend aside from her family and was considered by her peers as a kind of semi-approachable "guest". This all changes when Yukino meets Soichiro Arima, another model student who beats her high school entrance exam score, and is even more popular and athletic than Yukino. Yukino is envious of her rival Soichiro, and works hard to top his grades. 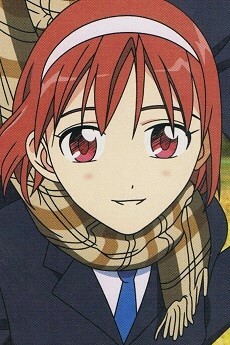 When Soichiro confesses that he has a crush on her, she rejects him and laughs about it afterwards. But her observant sister Kano points out that Yukino's rivalry with him is born of admiration. This revelation is useless, however, as Yukino accidentally lets her guard down and Soichiro discovers that she is a slob at home. Soichiro uses this to blackmail her to spend more time with her.